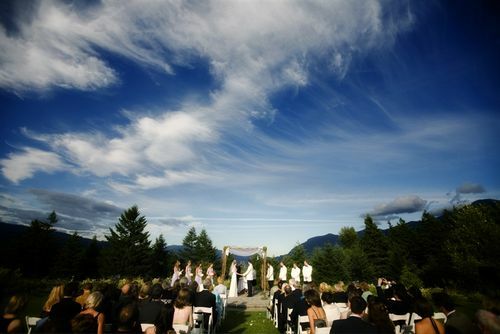 An outdoor wedding in the Amphitheatre at Skamania Lodge in Stevenson, WA. One of the premier event venues with lodging in the Columbia River Gorge. Photo courtesy Holland Studios.